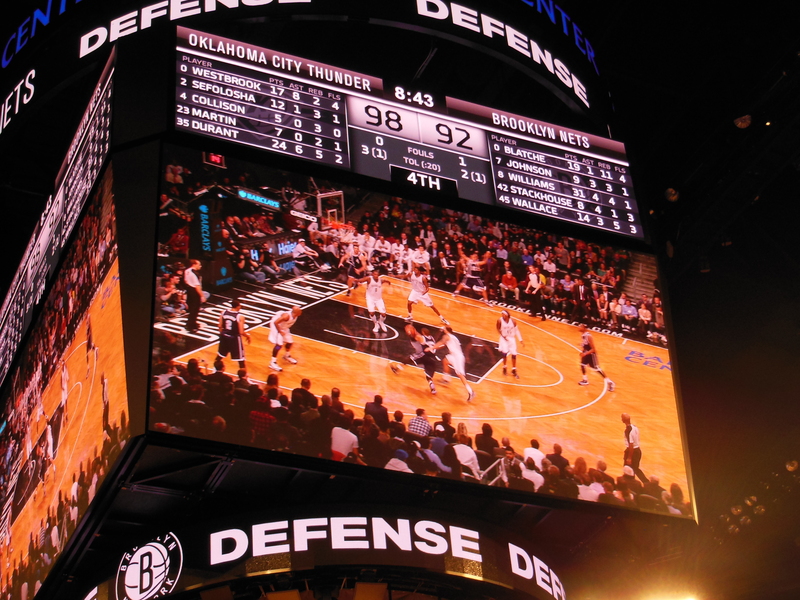 Some more housekeeping here… an early December game in the brand spanking new Barclays Center in Brooklyn. 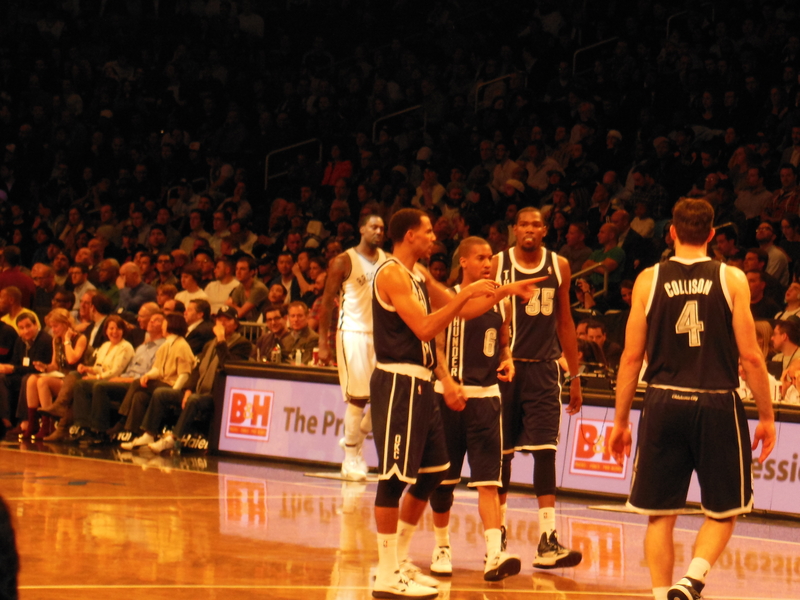 Kris Humphries is coming achya. 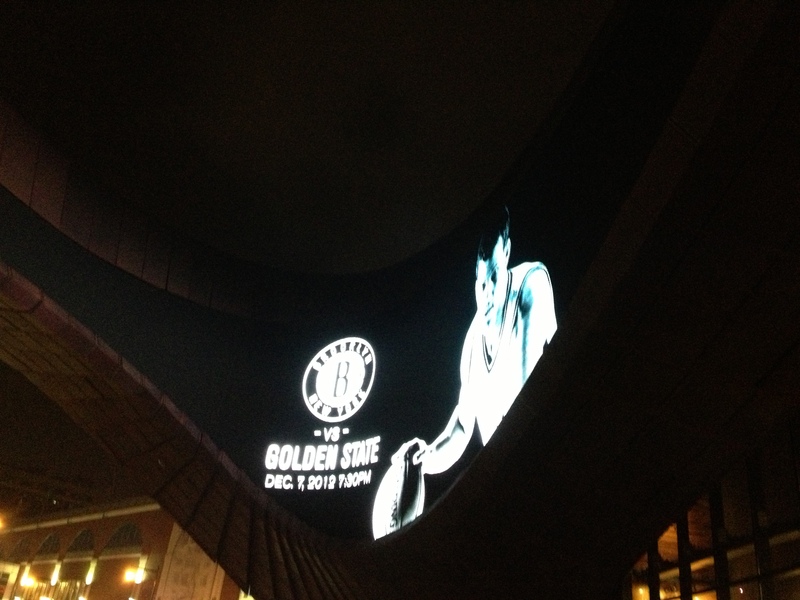 Funky digital banner outside the Barclays. 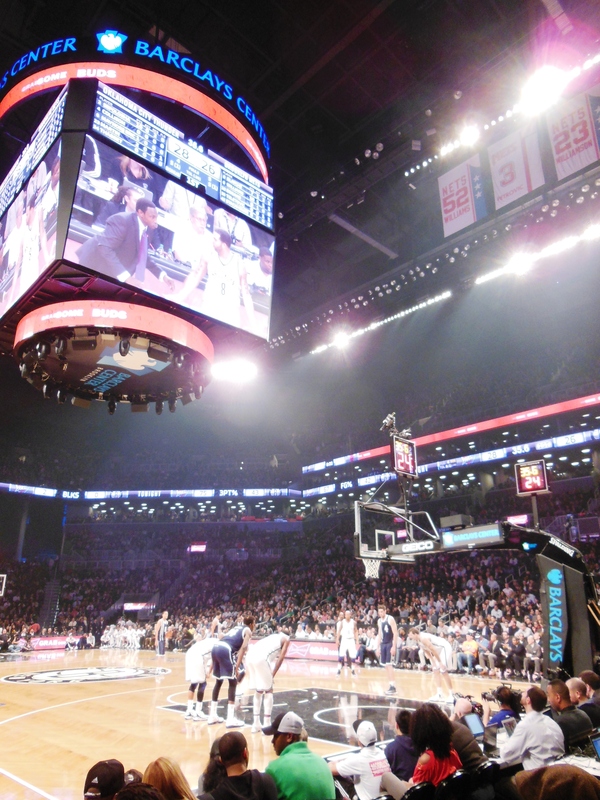 View from my seat, floor seats at the Barclays grant access to the Calvin Klein lounge for pigging out. The one cool thing the Nets brought over from Jersey. 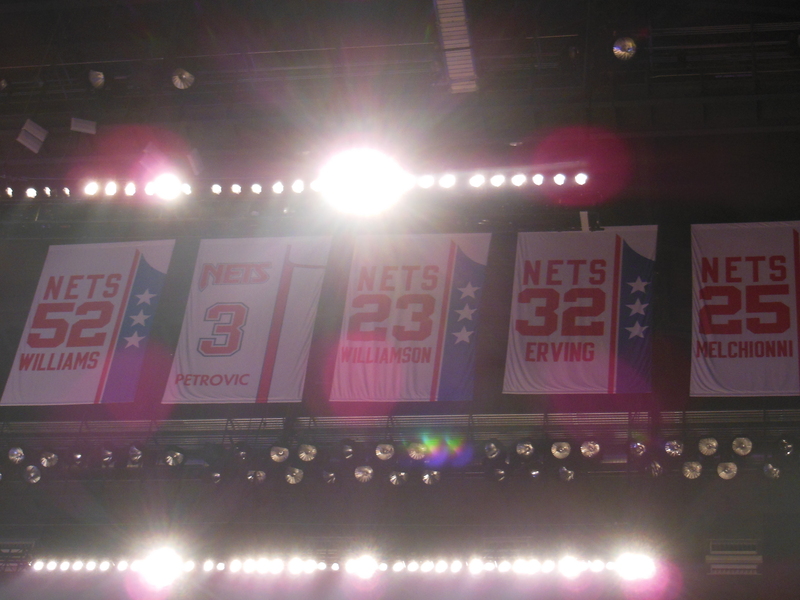 Dr. J (32) was my boyhood idol, and Drazen Petrovic was tragically killed in a motor accident at the height of his career. 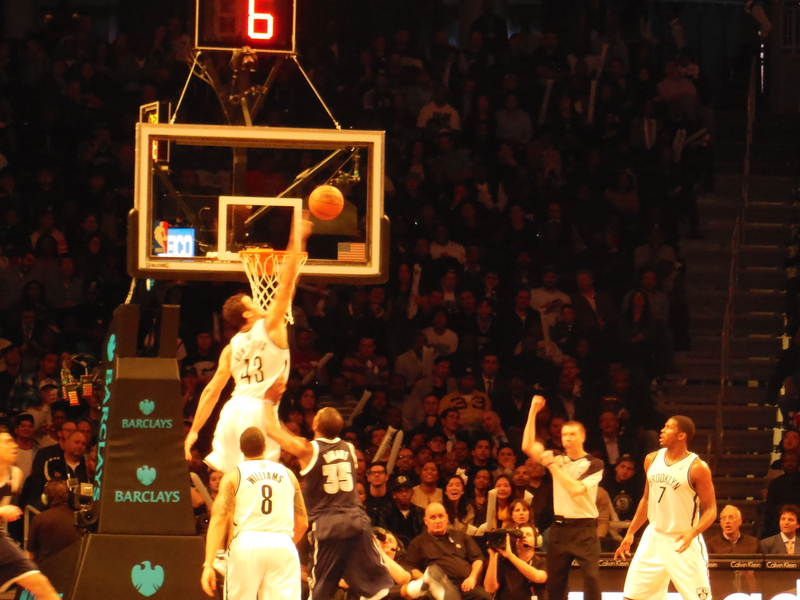 Kris Humphries is called for a crucial goal-tending infraction on this play. Looked good from where I was sitting. 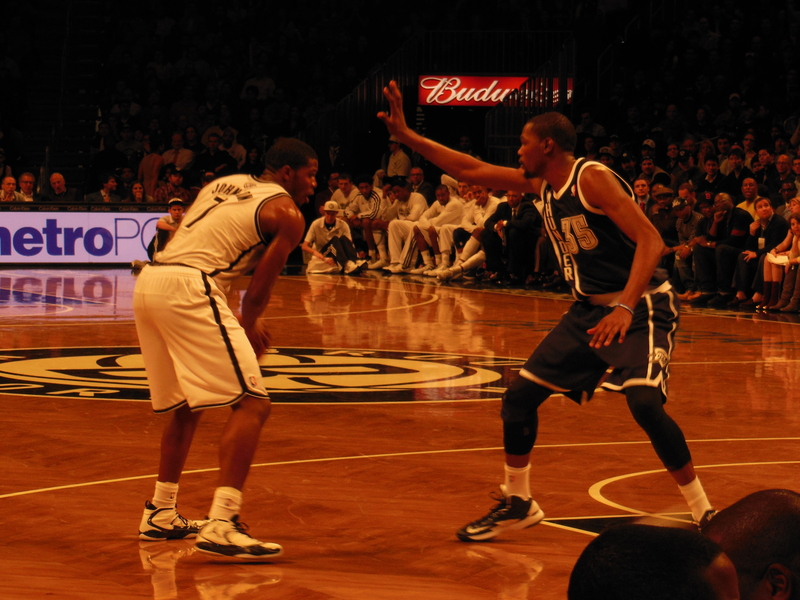 Can’t spell Durant without D; working hard on a last minute matchup with Joe Johnson.